Gold Coast Energy are the first company in Australia to have a specialist solar panels output tester to IEC standards. This very expensive piece of electronics will be of use to all people who purchased cheaper solar panels and need them checked to see if they are still producing the warranted output. If the solar panels are producing less than the 90% warranted out put in the first 10 years or below 80% with in 25 years then you are entitled to receive a swap of solar panels free of charge. This is the Australian Governments guarantee to all people have purchased solar panels through the Solar rebate scheme. 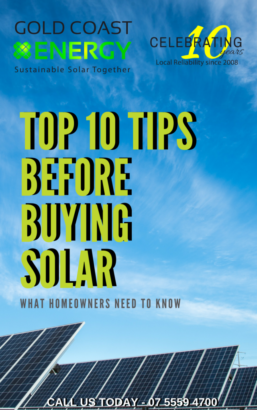 If your panels are found to be not performing to the warranted output then you need to call the company that you purchased from and follow up with them and request new solar panels. Please fill out the “contact us” form below and we will contact you to book a time to check your solar systems performance.